MK Peretz writes letter to Jeremy Corbyn, expresses disappointment over Corbyn's refusal to visit Yad Vashem. 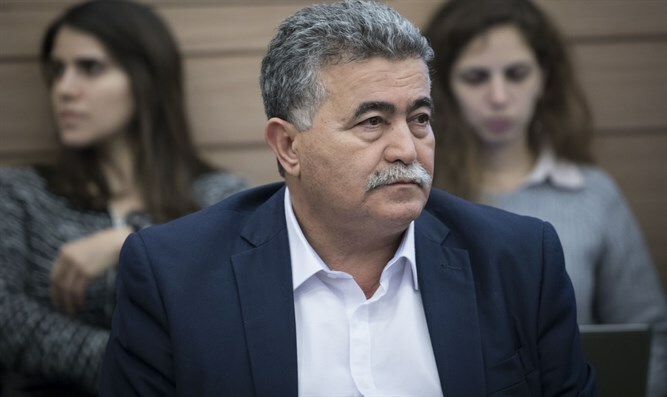 MK Amir Peretz (Zionist Union) on Sunday sent a letter to British Labour leader Jeremy Corbyn in which he expressed his disappointment over Corbyn's refusal to visit Yad Vashem. "Perhaps your refusal stems from a problem of personal identity, which clashes with the world of universal values ​​in general and social democracy in particular," Peretz wrote to Corbyn. "Perhaps this is the result of political opportunism of the lowest kind, which deters you from standing up to anti-Semitic elements, and particularly within your own party, including the harsh remarks by former London mayor Ken Livingstone. It is also possible that this stems from a lack of understanding of contemporary anti-Semitism,” added Peretz, who recently announced that he would run for leadership of the Israeli Labor party. Peretz concluded his letter by calling on Corbyn to reconsider his refusal to visit Yad Vashem. A copy of the letter was also sent to the British ambassador to Israel, David Quarrey. Corbyn has come under fire from the local Jewish community, due to his calling Hamas and Hezbollah his "friends" and for outright refusing to condemn those two terrorist organizations despite being urged to do so by local Jewish groups. Over the last year or so, Labour has suspended and expelled dozens of members over anti-Semitic comments. Opposition leader MK Yitzhak Herzog, who is being challenged by Peretz for the Labor leadership, wrote to Corbyn last year to invite him to lead a delegation to Yad Vashem in Jerusalem, following the suspension of Ken Livingstone and Naz Shah from the Labour party following their own anti-Semitic statements. Corbyn had initially not replied to Herzog’s letter at all, but later asked his deputy Tom Watson or party General Secretary Ian McNicol to look at making the trip “on my behalf”.